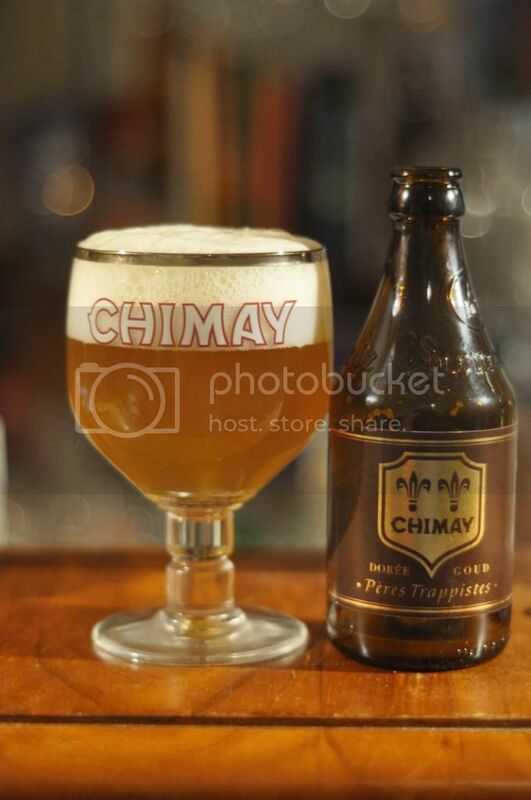 Chimay Doree is a Patersbier, literally father's beer, it's quite a light style of beer and is normally reserved for the Trappist monks to drink. 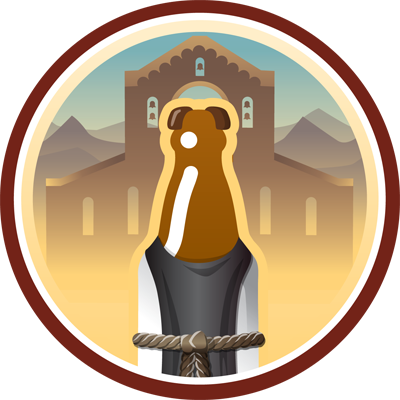 Chimay began selling it on tap at their monastery and demand became so high that it is now distributed in bottles from time to time. This is the first time I'm having it and I'm really looking forward to it. The beer pours a hazy golden colour with about 2 and a half fingers of fluffy white head. The head has good retention and laces the chalice well. It's fueled by plenty of carbonation which rises to the head throughout drinking. I know I normally ignore the artwork on the bottle, but I really like the simplistic look of this Chimay bottle. Onto the nose and Chimay Doree smells more like a witbier than I had expected. It smells slightly sweet with citrus and coriander aromas both present. As the beer warms a little, you get more candied sugar and barley coming through. Overall though the nose is quite muted. Much like the aroma the taste of Chimay Doree is understated. It's a light, dry beer with plenty of subtleties. There is citrus, there is coriander, there is Belgian yeast, there is even a spiciness not dissimilar to cloves. I can understand why the monks at Chimay chose this as their table beer! I really enjoyed this beer and am pleased that I have another few waiting for me in the fridge. It's very light both in terms of ABV (4.8%) and flavour. When I say the flavour is light, I don't mean it's lacking in flavour, it's more that nothing is overpowering. Every element is beautifully balanced. With it's lovely dry finish it's a beer you could drink all day, with food or without! Chimay Doree is not as readily available as the other Chimay's so if you find some pick it up, you won't be disappointed.